At Plain-t-shirts.co.uk we offer a wide choice in our full sleeve polo shirt collection which includes all the best brands like AWD, Stars & Stripes, Fruit of the loom, Bella and many more. Our long sleeve women polo collection include many colours and sizes to choose from which we offer for next or following day delivery for all the women clothing. The women polo range which we have on offer at Plain-t-shirts.co.uk are fitted style making it ideal for women, they are durable and well made and ideal for all kinds of printing or embroidery if you plan to have your logo done on them. We at Plain-t-shirts.co.uk offer a wide choice in plain long sleeve /women range which come in a range of colours for fast delivery all over UK/EU Safran pure which we offer are ex stocked item from our London warehouse. This plain product is made fr..
We at Plain-t-shirts.co.uk offer a wide choice in plain stretch T range which come in a range of colours for fast delivery all over UK/EU Women's long sleeve which we offer are ex stocked item from our London warehouse. This plain product is made fro..
We at Plain-t-shirts.co.uk offer a wide choice in plain Women's Carlington deluxe range which come in a range of colours for fast delivery all over UK/EU long sleeve which we offer are ex stocked item from our London warehouse. This plain product is ..
We at Plain-t-shirts.co.uk offer a wide choice in plain Women's contrast premium range which come in a range of colours for fast delivery all over UK/EU Oxford shir which we offer are ex stocked item from our London warehouse. 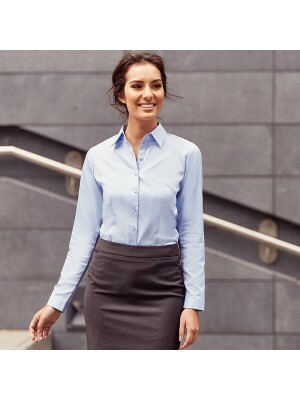 This plain product is m..
We at Plain-t-shirts.co.uk offer a wide choice in plain Women's mandarin collar fitted range which come in a range of colours for fast delivery all over UK/EU shirt long sleeve which we offer are ex stocked item from our London warehouse. This plain ..
We at Plain-t-shirts.co.uk offer a wide choice in plain Women's non-iron range which come in a range of colours for fast delivery all over UK/EU shirt long sleeve which we offer are ex stocked item from our London warehouse. This plain product is mad..
We at Plain-t-shirts.co.uk offer a wide choice in plain Women's long sleeve range which come in a range of colours for fast delivery all over UK/EU easycare Oxford which we offer are ex stocked item from our London warehouse. This plain product is ma..
We at Plain-t-shirts.co.uk offer a wide choice in plain Women's long sleeve herringbone range which come in a range of colours for fast delivery all over UK/EU herringbone shirt which we offer are ex stocked item from our London warehouse. This plain..
We at Plain-t-shirts.co.uk offer a wide choice in plain Women's long sleeve range which come in a range of colours for fast delivery all over UK/EU ultimate stretch which we offer are ex stocked item from our London warehouse. This plain product is m..